Take note from self-publishing Outskirts Press author, Mercedes Mercado, who is taking her latest book, Understanding Men With Power, on tour — a virtual book tour, that is. She will be featured on several blogs over the weeks and months ahead so keep your eyes peeled to learn more about her and her book. Luckily for us, Mercedes was kind enough to answer a few questions as the tour was getting started so that we can give you a sneak peek into the mind of the creator of Understanding Men With Power. OP: Tell us a little bit about Understanding Men With Power. What is it about? Mercedes: My book is a self-help book on relationships. It’s true stories that happened to me with men with power. At the end of each chapter a lesson is provided to clarify what I learned from each man. It’s showing women, not telling them the cause and effects of our treatment of men. Mercedes: My entire life I’ve been giving very productive advice to a lot of women. They’ve had great success with their relationships because of my advice. Instead of just helping my friends, I decided to write a book to help as many women as possible. Mercedes: I self-published my book with Outskirts Press. Mercedes: Mostly women seeking relationship help. But many men are also interested in knowing about other men with power, so there’s an audience for them as well. Mercedes: My book is special because instead of telling women what to do I show them what happens when you behave a certain way with men. 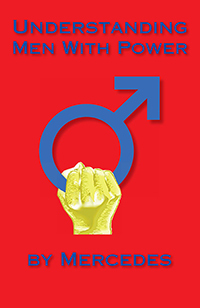 This book is a compilation of all true stories, so women can see for themselves how important one’s behavior towards men is. Showing is better than just telling women what to do. Also, the men in this book are famous and/or powerful but I changed everyone’s name so no one can recognize them. Mercedes: I don’t give women rules to follow. I show them my behavior towards men and how they respond to that behavior. I don’t tell women what they want to hear either. I simply show them what I did so they can see for themselves what works and what doesn’t. It’s a “how-to” book but with actual examples. At the end of each chapter I say the lesson that I learned from each man. Mercedes: This is my first book . Mercedes: I do intend on publishing more. OP: Thanks for your time, Mercedes! We look forward to learning more about you as you visit other bloggers!